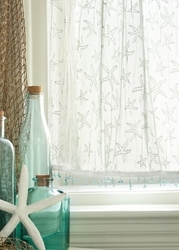 White Lace Starfish Curtain Panel Measures 45x84. 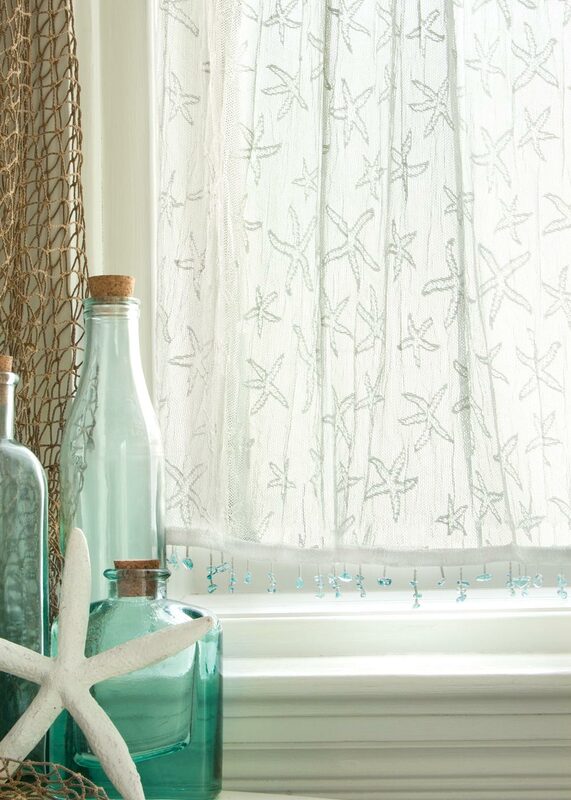 The Beaded trim does NOT come on this size Curtain. Machine washable. Made in America.